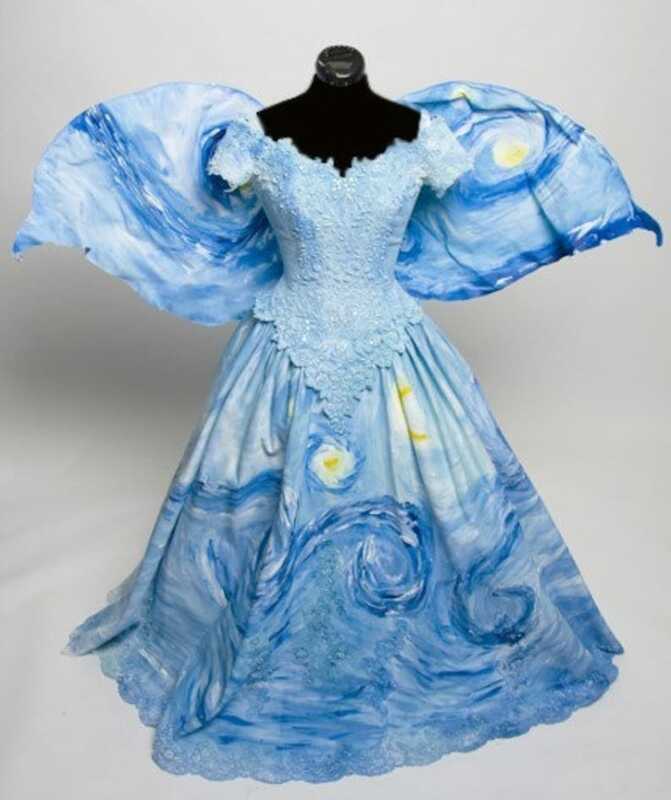 This gown features a swirling of blues, yellows and white just like the famous painting. The wings are a silky material over a wire frame and painted with the same swirling of colors. The wings can be attached to the dress or removable. The pictures in this listing are examples of the two dresses I have made like this. Yours will be a one-of-a-kind, made to measure dress. This dress will take approximately 6-8 weeks to complete.